API Services Newport News, VA Internal Time and Expenses data input and reporting for managing a nationwide staff of consultants and projects, all in an Access Database. 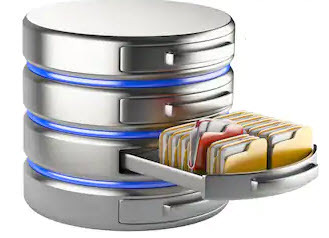 The back end of this database is in MySQL and housed on the Data Control servers. About API Services: We provide high value solutions to customers nation and worldwide. Our team of engineers and technicians are the best in the industry and continually provide the best customer service through commitment, knowledge and diversity. We offer a wide variety of other services such as: laser tracker rentals, machine tool calibration equipment, laser tracker calibrations and certifications for all tracker models. We proudly service the following industries: BIM, Aerospace, Marine, Shipbuilding, Energy, Automotive and Petro-chemical and many more! Chase, Inc - HVAC Richmond, VA Build Access database to track heating/air conditioning clients and deliveries and installations. This is a Mechanical Engineering Firm in Chesterfield, Virginia (a suburb of Richmond, Virginia). About Chase HVAC: Mike Burton has been with Chase, Inc. in Richmond since 1982 and is the sole owner. Unlike many heating/air and plumbing companies, at Chase, you will not be treated like �just another customer.� Chase strives to keep its �Mom and Pop� reputation in Richmond over the years. If you�d like to speak directly with Mike when you call, it�s no problem. He is never too busy to speak with you. Otherwise, our office staff is more than glad to take your call and schedule an appointment to meet your heating/air and plumbing needs. We appreciate your business and look forward to continuing to serve you and your family for many more years to come.